Ni among my friends yg attend. Ada gak few faces yg takde dalam gambo macam Verde and Ummul. 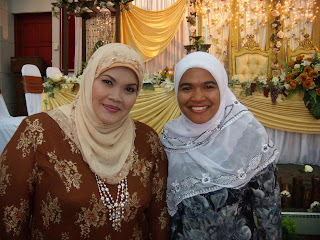 My pix with famous singer, Aishah. Kudos to Shaq to personally invited (err..maybe paid is a better word, eh?) Aishah to her wedding to sing with her beautiful voice. 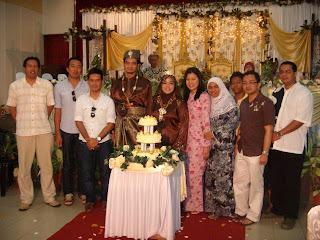 Actually, Shaq's wedding was at Parit Buntar but my friends and I stayed at Penang, since it is MORE happening there. Kiranyer macam a trip with 2 purposes. Shaq's wedding and also sort of vacation in Penang. 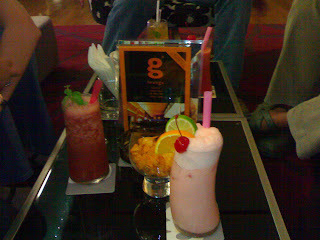 We stayed at Gurney Hotel. A very spacious hotel. 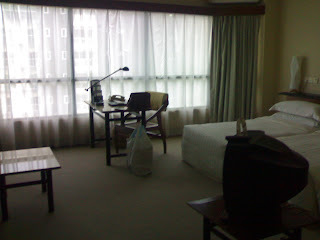 Gurney Hotel is located at the famous Gurney Drive. 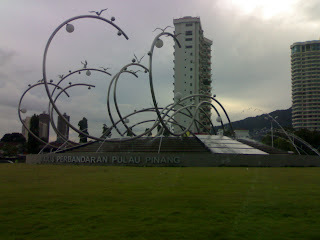 Memang happening tempat nih..
Ni la landmark near our hotel. 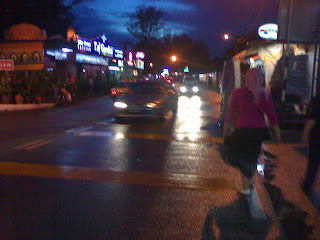 Batu Feringgi nite market...cds and dvds here damn cheap! Mamak stall just behind Gurney Hotel. 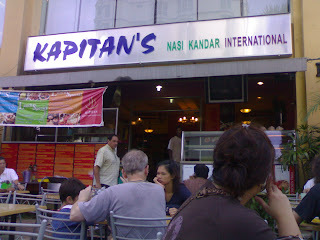 This is where my friends and I had breakfast for 2 consecutive days. Almost everything you want to order in Mamak stall is here. Food memang not bad! 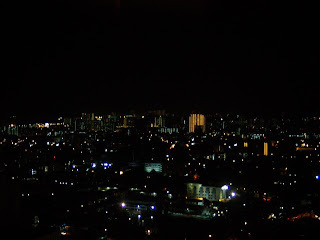 View from my room at nite. Memang gorgeuos (betul ke eja nih) giler kann?? 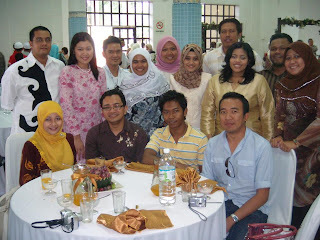 I had so much fun in Penang, thanks to all my friends (Nique, Put, Loth, Saza, Hunny Bunny, Najah & hubby, Verde & hubby). I am sooo looking forward our next gathering. Izit gonna be at another wedding? emm...best nyer la jumpa balik kawan2 sampaikan ramai yg aku rasa mmg ada yg aku sendiri tak ingat dah muka sorang2. hmmmm...sape punye wedg plk tue??!!!? ?